Michel Autran — MFW Wine Co. Although his first official vintage wasn’t until 2013, Michel Autran is already making a name for himself as one of the top producers in Vouvray. This didn’t just happen out of the blue though, as Michel has quietly been putting in the work behind the scenes for many years now. Michel started off as a doctor, working in emergency medicine for nearly 20 years, but somewhere along the way the wine bug bit. 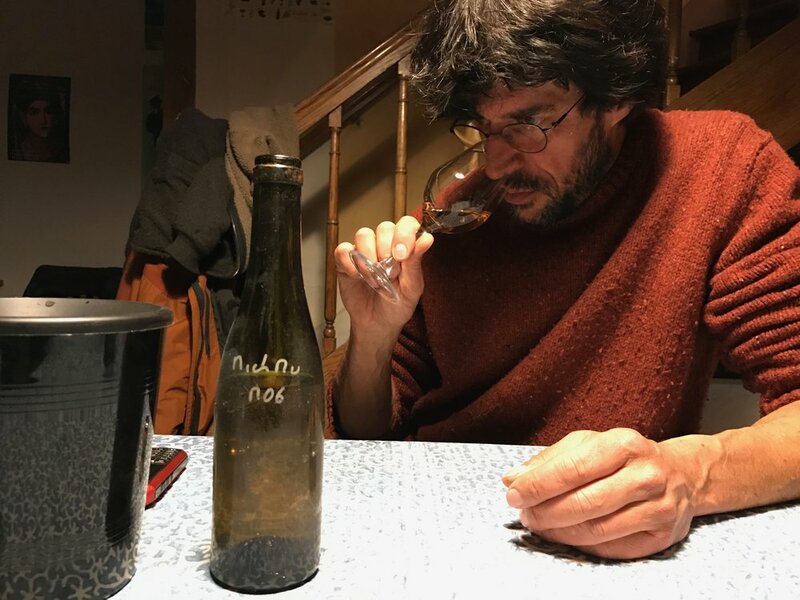 Despite being in his 40s, Michel eventually decided a career change was the only solution and he set about acquiring the necessary experience, working with and learning from some of the top Chenin producers in the world, people like François Pinon, Vincent Carême, the Joussets, Frantz Saumon, Ludovic Chanson, and more. In 2011, he was able to purchase just under 1ha of prime vineyards in Noizay to start, and slowly expanded to 3.8ha today. Farming is completely organic, and due to the steepness of some of the plots, a horse is necessary for the vineyard work. The vines are all very old, between 50-70 years, and all replanting is with massale selection of old vines from Pinon. Harvesting is by hand and with multiple tries to ensure the small team of workers make the best selection in the vineyard. Fermentation begins with native yeast in stainless steel before immediately being racked off by gravity into barrel, some new, but most 4-12 years old and coming from friends like Carême or the late Stéphane Cossais. A small amount of sulfur is used at débourbage if necessary, otherwise, the wines are raised completely sans souffre. The resulting wines have it all: purity, elegant fruit, incredible length, richness balanced by enamel-stripping acidity, and off-the-charts minerality.